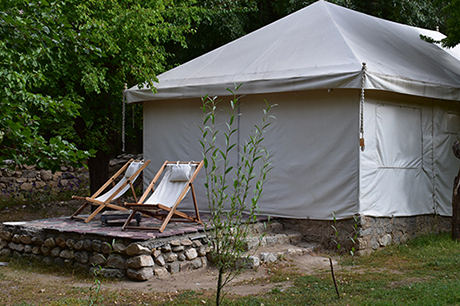 During the Summer season, travellers looking for comfort and insolite charm enjoy staying in our 7 Deluxe Tents spread in the orchard that surrounds the house. 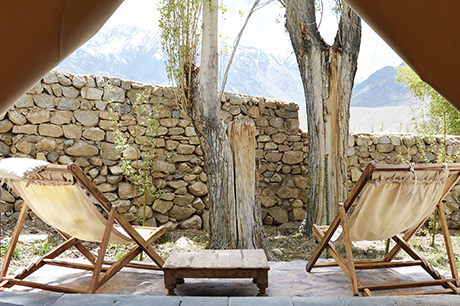 Each of them has been decorated with taste and respect to Ladakhi traditions, while still offering all the modern comfort. 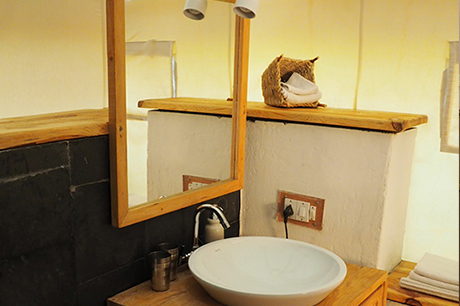 Tents are composed of a chill zone at the entrance (65 square feet), offering a view on the orchard and the possibility to serve as a kid room, a spacious bedroom (150 square feet) with large King size double bed or twin beds, a fan and a kettle, and finally a private bathroom (65 square feet) with western toilet, sink and hot-water shower (heated by solar-panels). 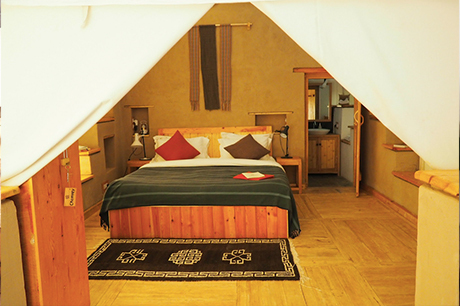 Twin tents are equipped with 2 single beds, ideal for guests travelling with friends. 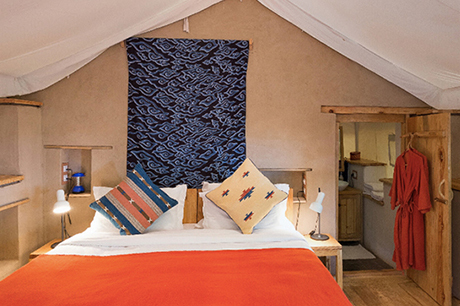 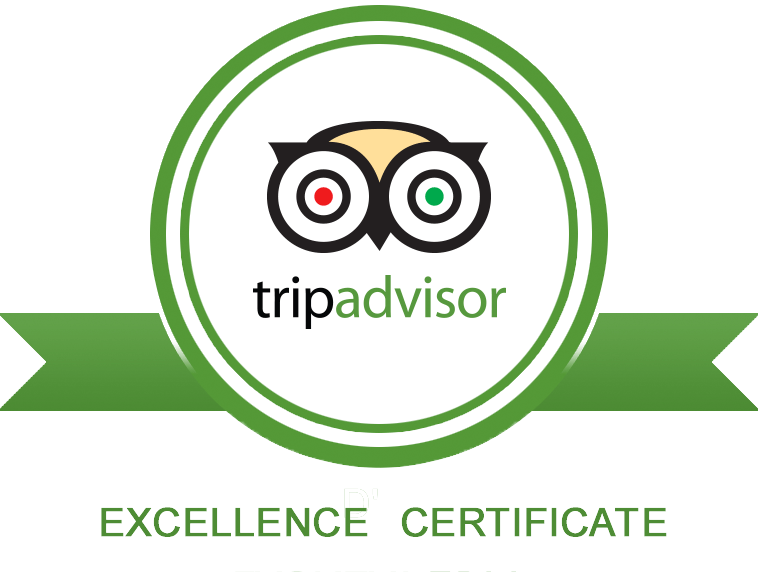 It is possible to accommodate up to 2 extra people (to request at the moment of reservation).